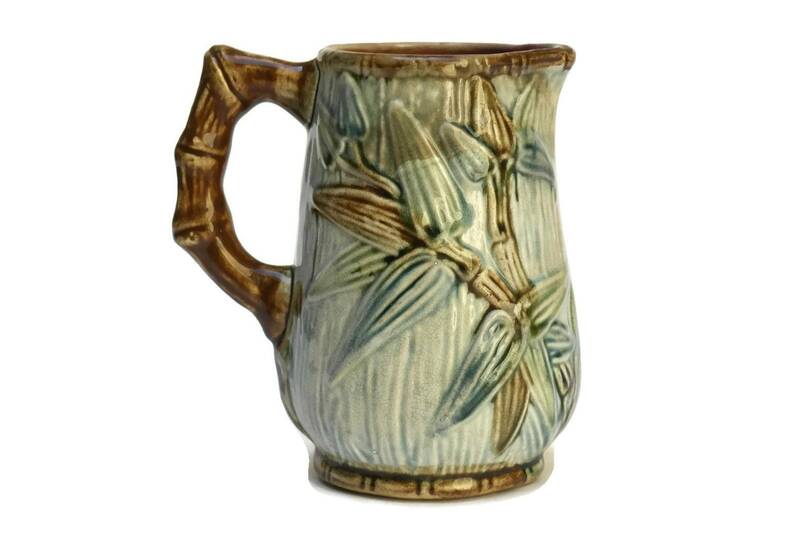 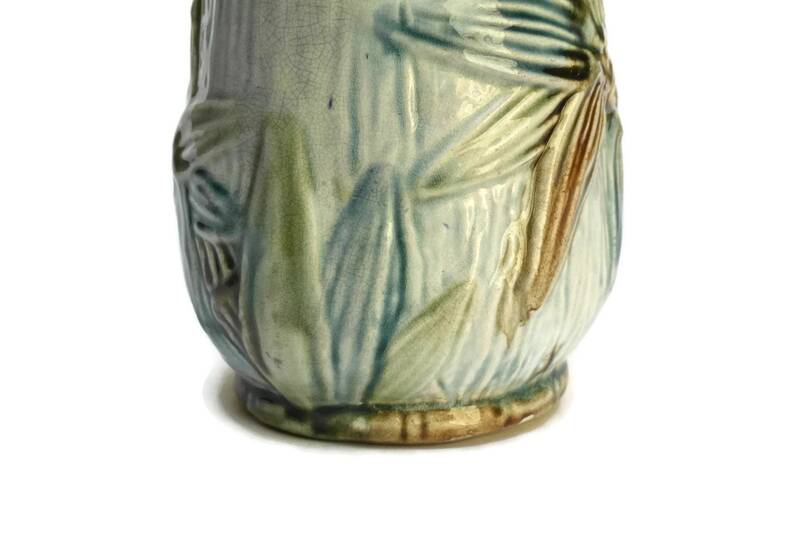 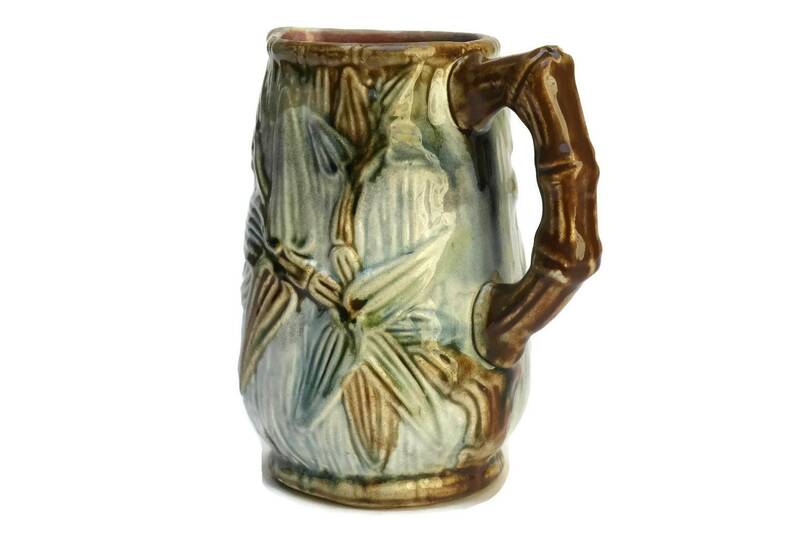 A charming antique majolica bamboo water pitcher from the early 1900s. 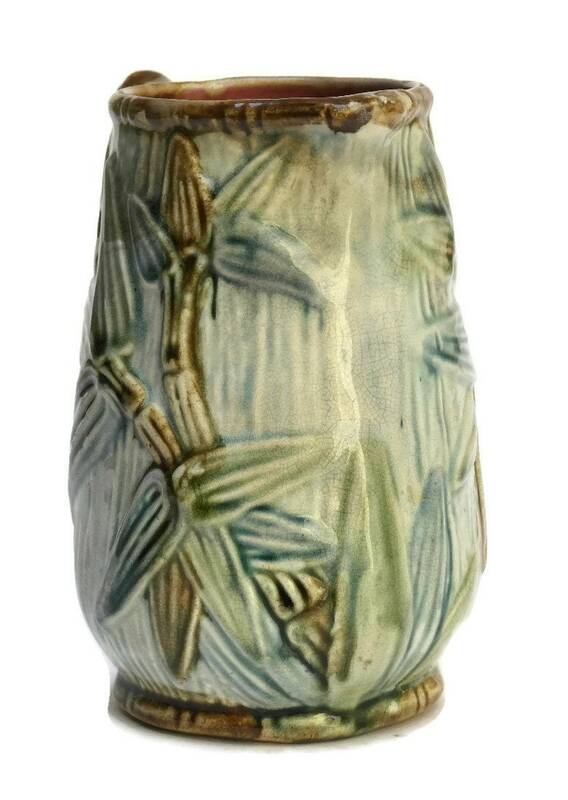 The glazed ceramic water jug features a stylish bamboo pattern in delicate shades of green with brown highlights. 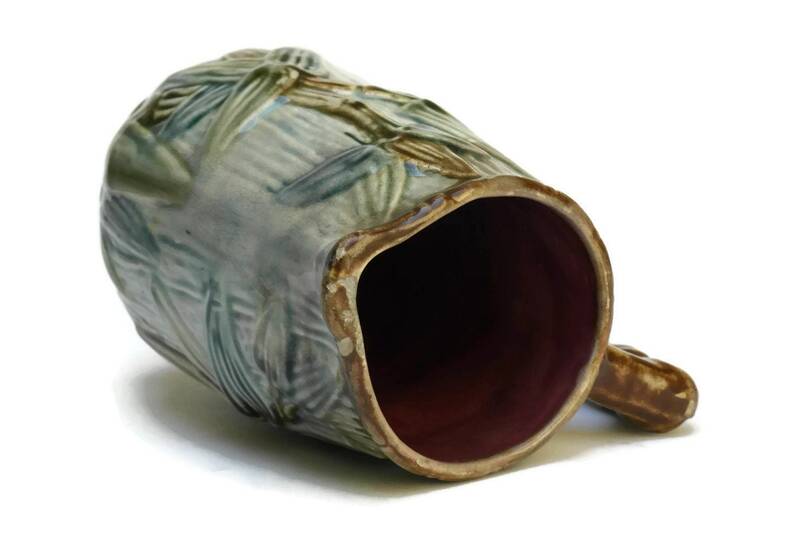 The handle has been created in the form of a bamboo shoot and glazed in brown. 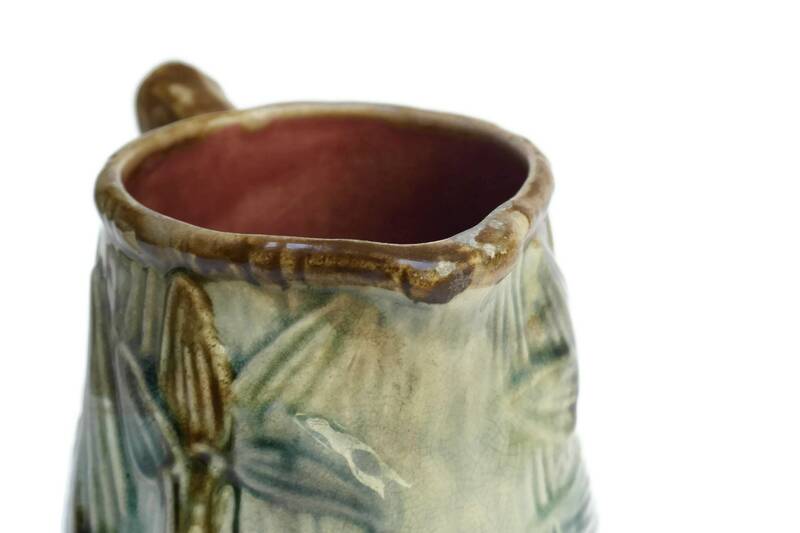 The interior has been glazed in a deep shade of cranberry. 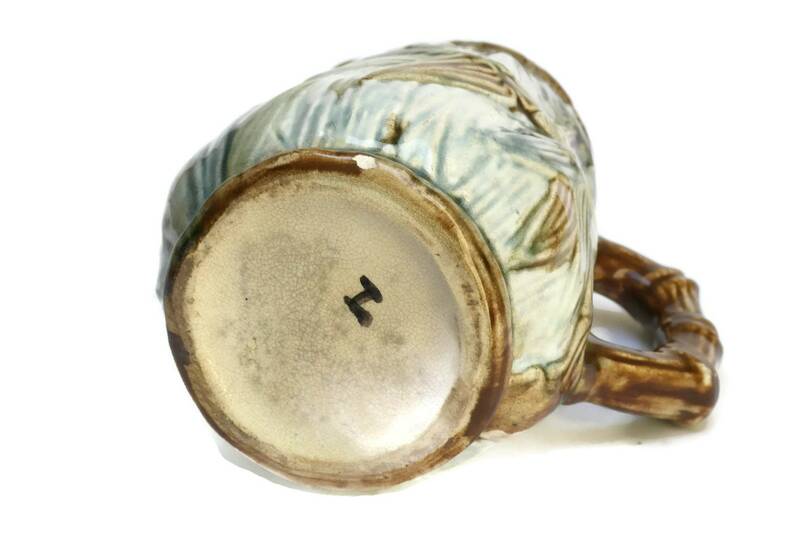 The underside of the antique French pitcher has been marked with the letter "I" . 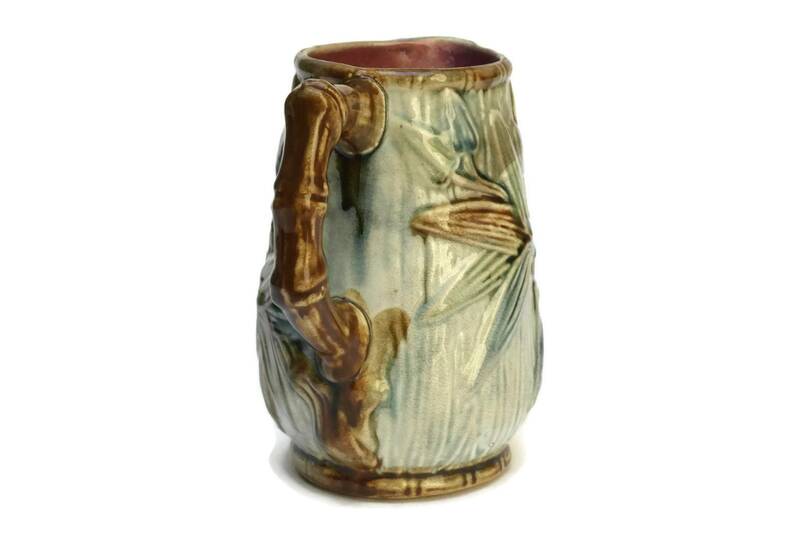 (15 cm x 9 cm). 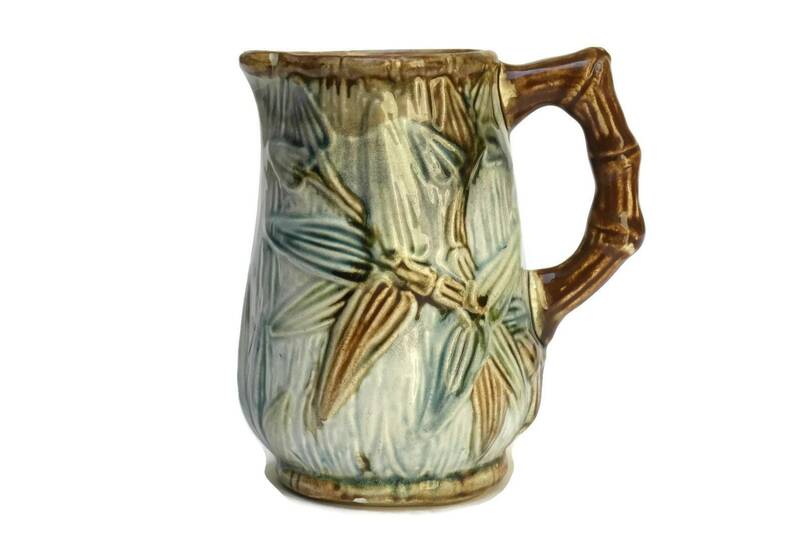 The antique majolica water pitcher is in good condition with some signs of age and wear. 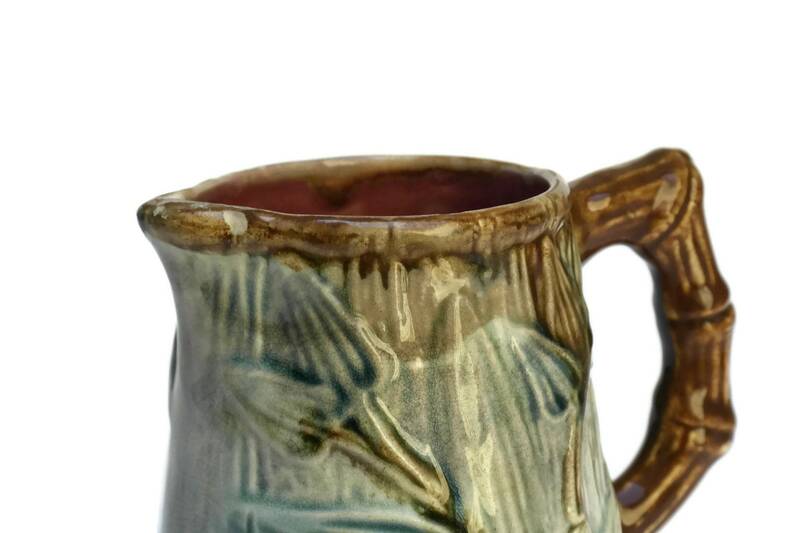 There are small flakes to the glaze around the spout, rim and the top tip of the handle.